Getting away for treasured time together with family and friends doesn't happen often enough. 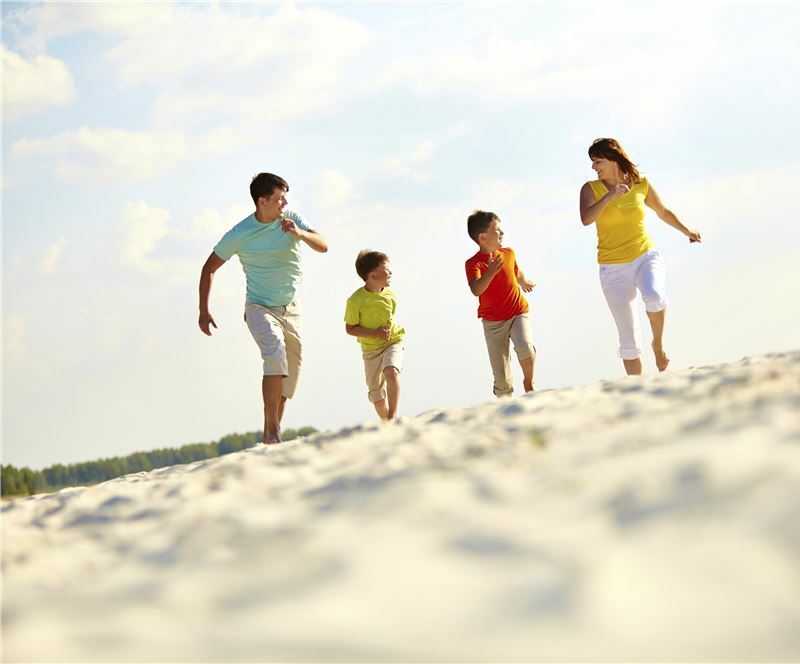 So when you finally do make your escape, make the most of it with family friendly amenities designed for the ideal vacation. Ocean Mist Beach Hotel & Suites sets the standard for Cape Cod hotels with two refreshing pools, heated for your comfort. Our private beach, fire pit and picnic area guarantee a lifetime of memories. And our great location close to everything to do on the coast makes us the ideal starting point for adventure. Have fun with us and make your next escape today. Enjoy an unforgettable vacation filled with the things you want most out of your time on the Cape. Take a swim in our indoor or outdoor pools and hot tub. Relax on a poolside lounge chair and catch up on your reading. Stroll next door for a delicious meal at an authentic New England seafood restaurant. Or head out to enjoy mini golf, bike rides, lighthouse tours and nature walks along the coast. It's all at your fingertips when you stay with us. Take a stroll or simply soak up the sun on our spacious private beach just steps away. Savor endless views of Nantucket Sound and enjoy a leisurely al fresco lunch in our picnic area. Or warm up on those cool summer nights around our fire pit. Our secluded beach area, complete with relaxing chaise lounge chairs, is the perfect backdrop for creating a lifetime of Cape Cod memories in the sun. There's no better way to play than here.